Asia's natural resources are among the richest and most diverse in the planet. The region holds 20% of the world's biodiversity, 14% of the world's tropical forests, and 34% of global coral resources, including the greatest number of marine species in the world. Asia's natural ecosystems and biodiversity offer numerous social and economic benefits, providing food, water and energy security, supporting local livelihoods, and regulating the global climate. However, rapid economic development, poor natural resource management, and unprecedented urbanization have had a large destructive impact on the region. In the last 40 years, its ecosystems have declined at a pace twice the global average. Many environmental problems are worsened by illegal activities and further exacerbated by weak governance and ineffective implementation, compliance and enforcement. Though demand for environmental law expertise is urgent and growing, there are currently very few qualified experts available to work in and with government agencies, NGOs, private companies, and courts. Additionally, the adoption of the Paris Agreement and SDGs requires suitably trained experts to translate international obligations into domestic policy and to provide legal and policy support and advice for government delegations in international negotiations. A core underlying problem is that environment law teaching and practice is currently under-resourced and inadequate in almost every country across Asia and the Pacific. Teaching environmental law is difficult because environmental and climate change issues are complex, multidisciplinary and continually evolving; and training programs, teaching curricula, technical resources, and tools are very limited. Moreover, many resources are from the United States, Australia, or Europe and have not been adapted to the Asian context, much less translated to the local languages. Environmental law teachers and institutions serve as crucial resources and trainers to ministries of environment, environmental protection agencies, judiciary, businesses and NGOs. 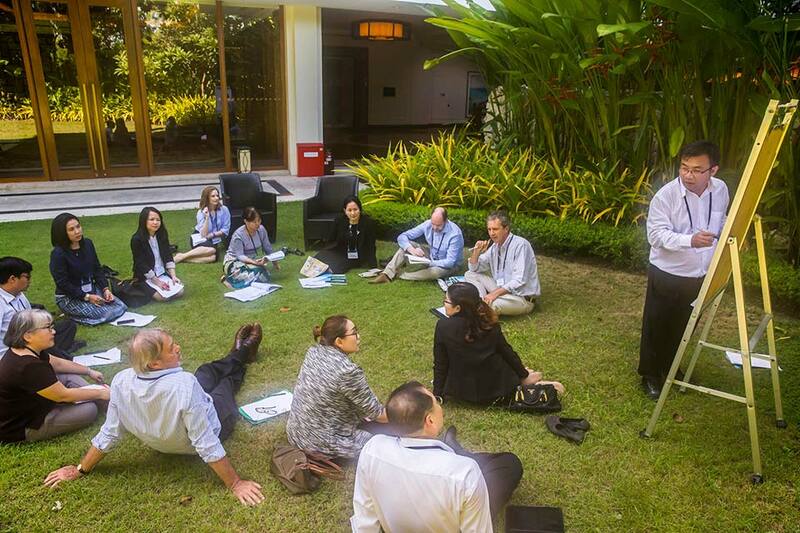 These educators and institutions are responsible for creating the next pipeline of environment and/or climate change law practitioners and civil servants, policy makers and judges who will influence sustainability outcomes in Asia. If the legal education system lacks the required support, and if environmental lawyers have insufficient capacity, then the implementation, compliance, and enforcement of environment and climate change laws and, ultimately, the fulfillment of the SDGs, will inevitably be compromised.